Incorporating elements of 2001: A Space Odyssey and Blade Runner, Moon is an intriguing science fiction-based drama about a man on the moon. In some unspecified time in the future, 2/3rds of the world's energy will be supplied from solar fusion-infused moon rocks, harvested into Helium-3. There is a man on the moon, alone, providing maintenance and overseeing the harvesting. His name is Sam Bell, he lives in a cold, functional, well-appointed space station. His only company is an artificially intelligent computer called Gerty (voiced in both an eerie and cheery manner by Kevin Spacey). In three years, Sam's contract with the Lunar corporation expires and he gets to go home to Earth to see his wife and young daughter. Saying more would be spoiling the pleasures of Moon. 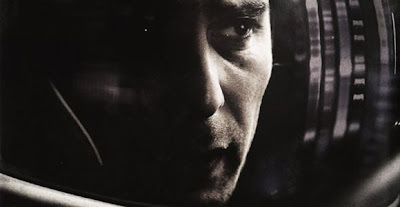 Sam Rockwell is an excellent one man show (so to speak) as Sam Bell, a tricky role where he is on the screen in every scene and literally talking to himself. But if you believe, they put a man on the moon, a man on the moon. A man on the man on the moon.